Before you hit the road to Wisconsin, I’ve compiled some essential knowledge about these offbeat eateries, and included a few recommendations of where you can try one out for yourself. The Wisconsin supper club has a rich history that dates back to the 1920s. Many supper clubs are located off the beaten path, along the highways and byways of rural Wisconsin. What began as roadhouses for gangsters moving moonshine during Prohibition quickly transformed into thriving establishments. So when Prohibition was repealed, many of these existing eateries were among the first to receive liquor licenses. Today supper clubs remain a unique part of Wisconsin’s dining culture. In fact, the nonprofit, Wisconsin Supper Clubs, Inc., notes that the state of Wisconsin is still home to more than 300 supper clubs. The organization is dedicated to keeping things that way by promoting and preserving the quirky charm of these historic eateries. There will be a relish tray: What’s a relish tray, you ask? Relish trays are an essential part of any supper club spread. Typically these pre-meal platters include pickles, olives, and sometimes celery and carrot sticks. During the height of the supper club, these appetizers were common places for diners to gather around. While they’re still de facto at some supper clubs, you may have to request one at others. Drink orders are Midwest classics and ice cream creations: The signature drink of many Wisconsin supper clubs is the Brandy Old Fashioned. Diners with a sweet tooth will be delighted to discover that many supper clubs offer alcoholic ice cream beverages as a sugary end to a meal. You won’t find any small portions or low-cal options here: Supper club portions are infamously large, and they’re not known for being particularly health-conscious. If there was ever a time to indulge in high-calorie, buttery foods, it’s at a Wisconsin supper club. Keep your eye out for a Friday Fish Fry: If you’re dining on a Friday (especially in the summertime), most supper clubs will offer a fish fry special of some sort. 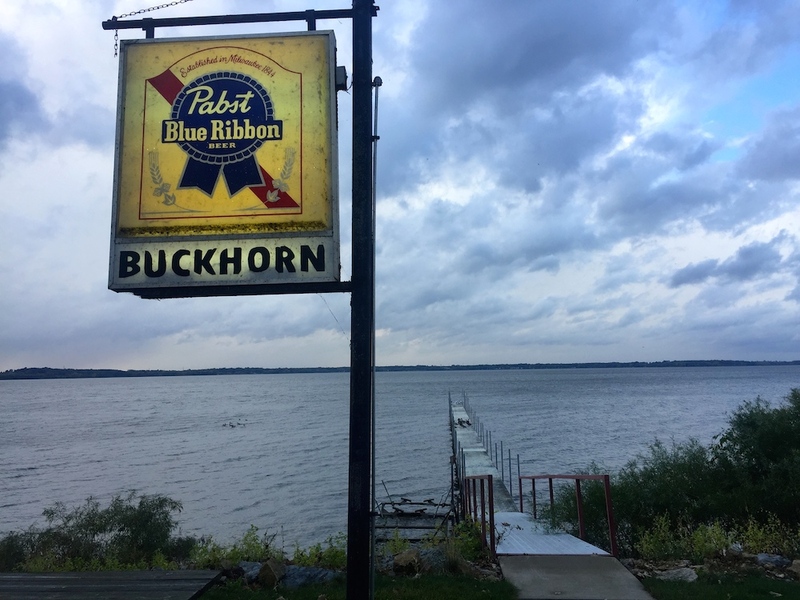 Located on the shore of Lake Koshkonong, the Buckhorn Supper Club near Janesville, Wisconsin has been serving diners for more than 85 years. Driving up to this vintage eatery reminded me of summers spent on the shores of Lake Michigan, exploring the serenity of the deep woods and watching sunsets over the water. We arrived a few minutes after 5 pm—when the supper club opened—to discover a mostly full parking lot and a bustling dining room already-seated diners. Not only is the restaurant a vintage gem, it’s also still an immensely popular spot to eat. If you have a big party or don’t want to wait, be sure to make a reservation. After a friendly greeting from our hosts, we were shown through the dark wood dining room to our table overlooking Lake Koshkonong. 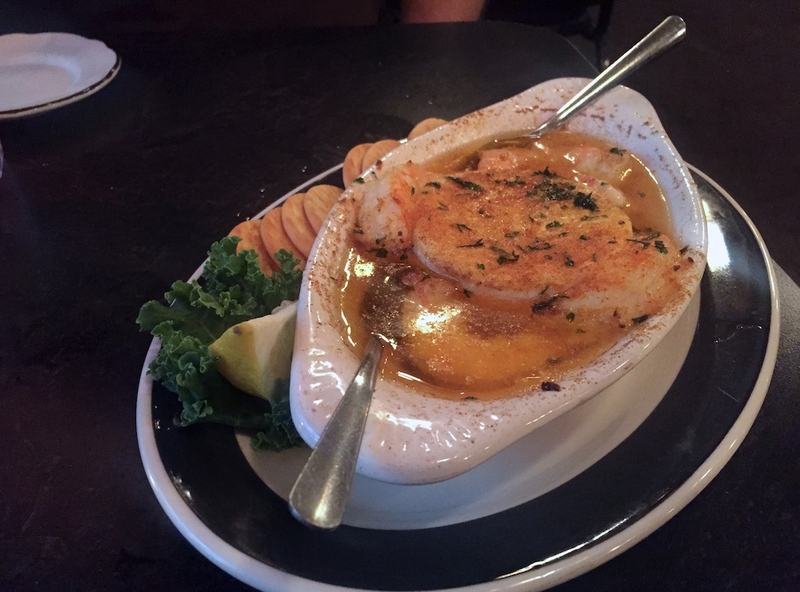 We opted to start our meal in true supper club fashion with an order of baked brie with garlic shrimp served alongside crispy Ritz crackers. 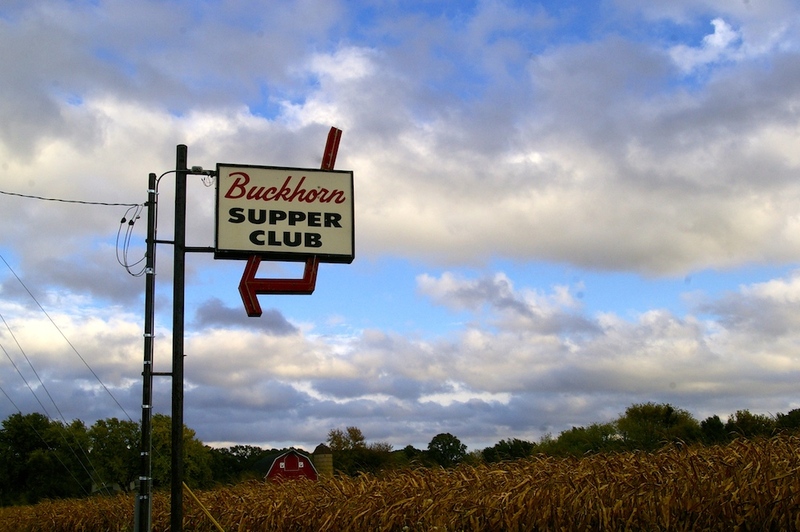 At the Buckhorn Supper Club all entrees are served with salad or soup, and your choice of potatoes or veggies. After a cheese-curd-filled trip, I opted to add a little green to my plate during this dinner. But the sight of their cheesy mashed potatoes almost changed my mind. 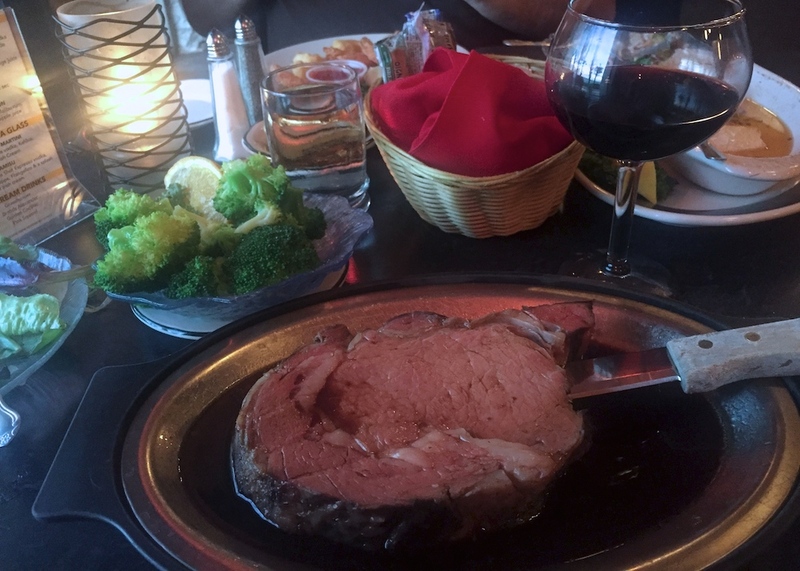 When my prime rib—the ever-so-slightly smaller “Queen’s Cut”—arrived at the table, I knew it was a good thing I’d brought my appetite. It’s true that there are no small portions when it comes to supper club dining. I’m never one to decline a peak at the dessert tray. I couldn’t resist seeing what sweet treats the supper club had to offer. 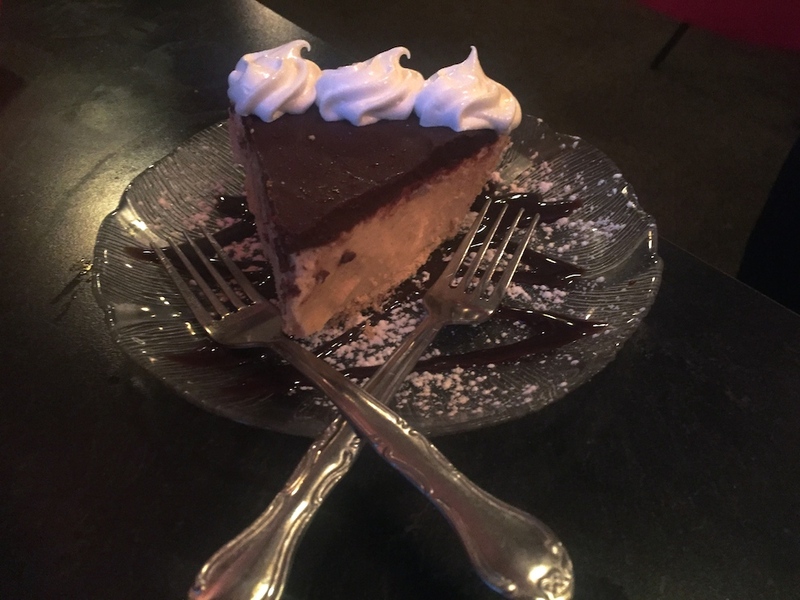 Even after our hefty entree portions we couldn’t resist splitting a slice of their ridiculously rich chocolate peanut butter pie. 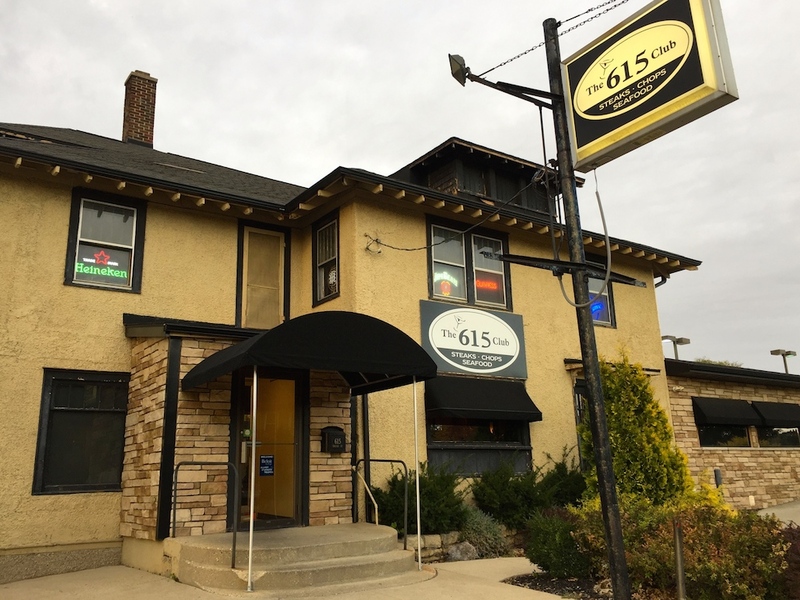 If you’re near the Wisconsin-Illinois border, The 615 Club in Beloit is the perfect place to enjoy a hearty meal. Located in a historic home, this Wisconsin supper club has been a Beloit landmark since the 1930s. Not only does this historic eatery offer traditional favorites in a homey environment, but they also have an incredible staff who made us feel like we were family. 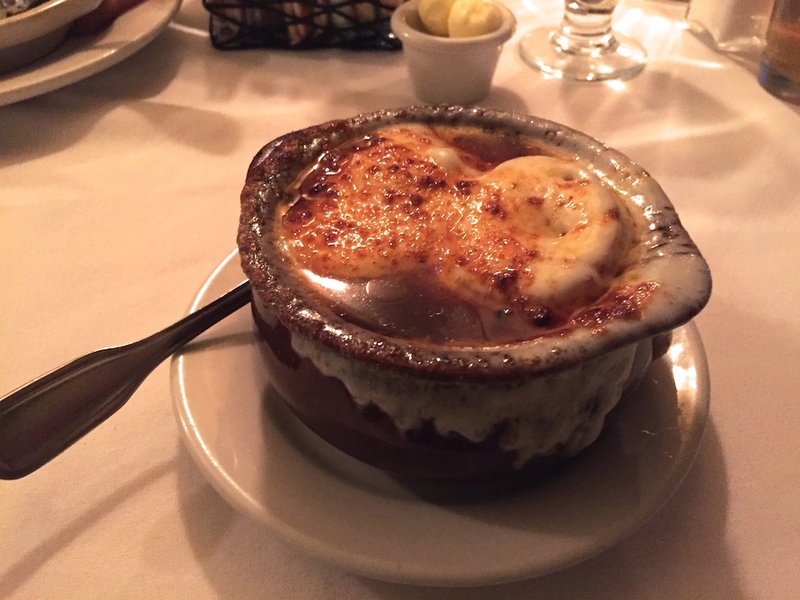 One of my favorite things about supper clubs is that they almost always have French onion soup on the menu. 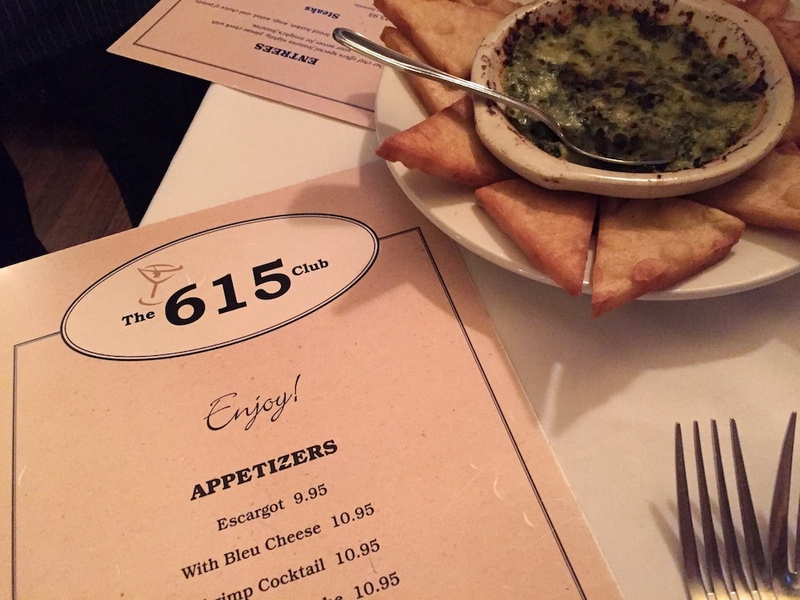 At The 615 Club, I couldn’t resist ordering this bubbly, baked soup, and I was not disappointed. When it came time to choose an entree, I asked the waitress what she would recommend and she pointed me toward the red meat. 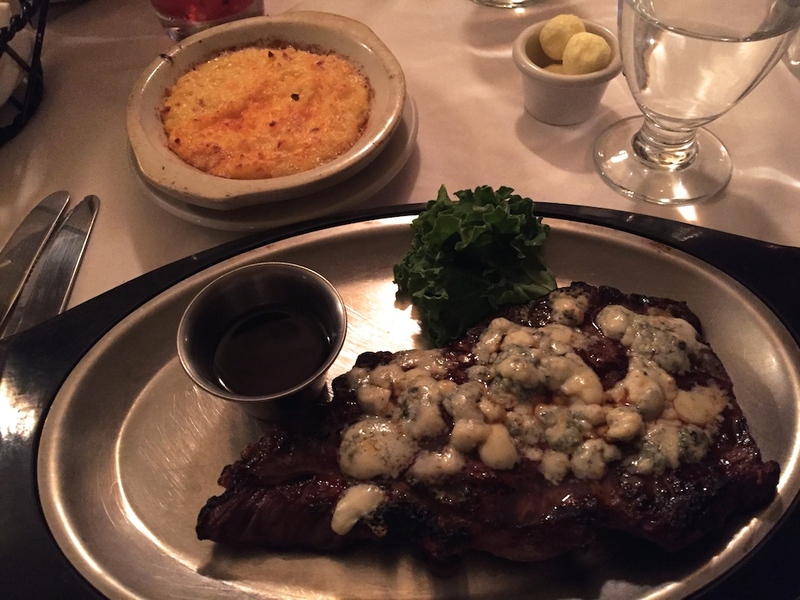 So I continued my meal with a juicy New York strip topped with just the right amount of blue cheese. In true Wisconsin fashion, I chose to accompany my meat with a side of mashed potatoes densely covered in cheese. Because there’s no such thing as too much cheese, right? I would love to hear from you! 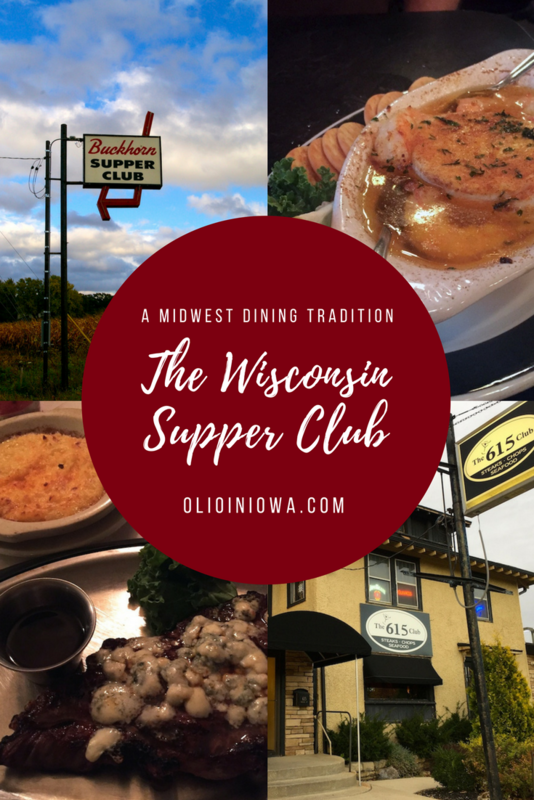 Have you ever eaten at a Wisconsin supper club? What was your experience like? Looking for more things to do in the Janesville and Beloit region? Check out the other places I visited on my road trip. Great article! Love, love, love!! Thank you, Susan! 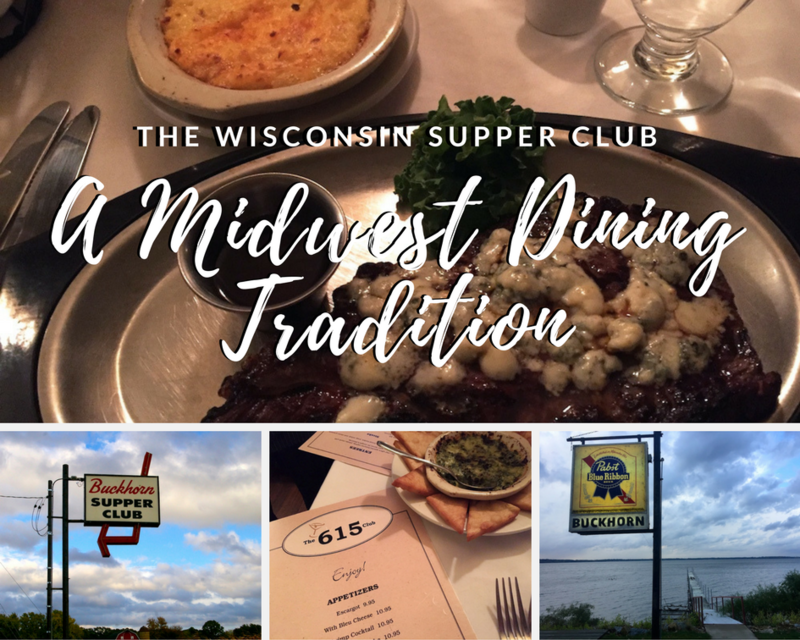 I had such a wonderful time experiencing Wisconsin supper club culture. Never been, but very cool! I haven’t been to these supper clubs, but I’ve been to others, and they’ve all been good. Gotta love the relish tray. That chocolate peanut butter pie looks delicious. I wouldn’t be able to pass that up either. I have eaten in Supper Clubs in Wisconsin. It’s where our parents would take us out to eat because there weren’t any fast food places back then.. We were only allowed to order off the children’s menu, but they did have some fun foods on some of them. We found one last Sept on our way home from our genealogy trip to the New York and Canada. It was in Wisconsin but I can’t remember the name. Have to find my notes for that. I was saving their story for my April blog. The food was wonderful and the owners were delightful. What a cool experience! I’m totally there for the alcoholic ice cream drink, I can’t believe that there are so many Supper Clubs in Wisconsin still. Talk about an awesome tradition. Great read for this afternoon. I’m rather peckish now!! Yum! Wisconsin is so freaking cool.